Are you looking for that perfect last minute gift for the person who has everything! Well look no further! 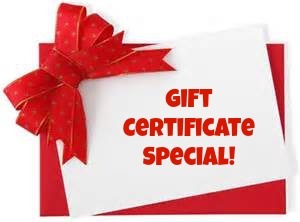 Let us take the stress off of your Christmas list with this amazing Gift Certificate Special Offer! Have a fantastic day! Hope to see you soon! Purchase a "TWO" night Weekday (Sun -Thurs) Gift Certificate to be used February 1st, 2014 to September 31st, 2014 and save up to $200 off the regular rate..
Must be purchased by December 31 and is not valid with any other specials, offers, weekends, holidays or during October.